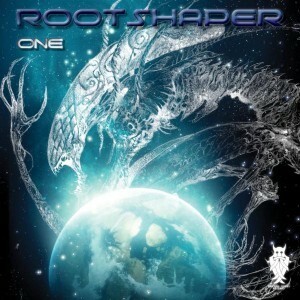 Melting Runes Records presents One, the very first release by Hungarian psytrance act Rootshaper (Laszlo Bajnoczi), featuring three of his latest tracks. His style is dark and mechanical, showing strong influences from industrial soundscapes, almost sounding like head-nodding darkpsy at progressive tempos. Enjoy these blasting tracks from the dark progressive underworld of Hungary! Mastered by Anti Logic Studio, Berlin, with artwork by Pandora. MP3 Download | FLAC Download | WAV Download · Download count: 8,213. 5/5 great production, awesome darp deep atmosphere, thumbs up!!! WOow! ..Am loving it!.. Great release.. thank you!! Woow ! awesome sounds. progressive darkpsy anyone ? this means much for me, thanks again! Nice. Deep and dark, just the way I like it! nice to have this release on ektoplazm, big thx.